Conservationists are celebrating the successful reintroduction of thousands of tiny endangered tree snails to their former home in French Polynesia, thanks to a global breeding programme coordinated by ZSL London Zoo. 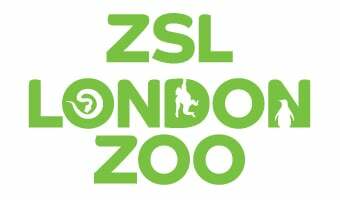 The release is the result of an international collaborative conservation programme between zoos and collections across the world, including Bristol Zoo, Chester Zoo, Marwell Zoo, Royal Zoological Society of Scotland and ZSL London Zoo in the UK. Following three dedicated decades of joint work at 15 institutions, last month conservationists from ZSL supervised the release of more than 2000 snails on the islands of Moorea and Tahiti in the Pacific Ocean. These new arrivals follow hot on the snail trail of a group released in 2016, which the team have confirmed are showing promising signs of becoming established. The reintroduction represents the largest number of species to be simultaneously reintroduced back into the wild in one project, as individuals from 10 species of the snail group have been released in the last two years. ZSL’s Curator of Invertebrates Paul Pearce-Kelly, who coordinates the international Partula snail conservation breeding initiative, said: “Though we’re still in the early stages of the reintroduction process, which will take several more years to complete, we’re very optimistic. “These tiny snails have proven themselves to be incredibly robust, and have been quickly (in snail terms anyway) dispersing into their naturally high tree habitat following their release – something we were delighted to see. “These releases have been more than 30 years in the making, and have only been possible with the dedicated efforts of the zoos across the world keeping healthy populations of these species alive. This success story illustrates the vital role that zoos play in conservation; these Partula species would not exist today without them. A group of snail species specially adapted to live in different volcanic valleys across the archipelago, Partula were nearly wiped out in the 1980s by the rosy wolf snail (Euglandina rosea). Introduced from Florida in the 1970s to rid the islands of a previously-introduced alien species called the African giant land snail, the predatory rosy wolf snail instead preferred the tiny natives, driving them to the brink of extinction.